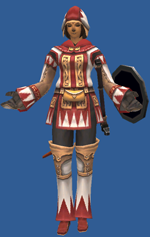 White Mages are the prime healers in FFXI. Capable of curing almost any status ailment and healing even the most reckless Galka Monk to full or laying the beat down on skeletons and magic pots, a White Mage is a great addition to most parties. Benediction 1 Instant 2 hours Restores a large amount of HP and removes all status ailments for party members within area of effect. Divine Seal 15 1 minute 10 minutes Doubles the potency of next cure spell; new options open with Divine Veil. Afflatus Solace 40 1 minute 2 Hours Inspires you to draw strength from the healing spells you cast. Afflatus Misery 40 1 minute 2 Hours Inspires you to draw strength from the damage you take. Devotion 75 (merit) Instant 20 minutes Sacrifices HP to grant another party member MP. Martyr 75 (merit) Instant 20 minutes Sacrifices HP to heal another party member double that amount. Divine Caress 83 1 minute 1 minute If the next spell you cast cures a status ailment, your target will gain enhanced resistance to that element. Magic Defense Bonus I 10 Slightly increases magical defense. Clear Mind I 20 Increases Hmp while resting. Auto-Regen 25 Regenerate 1 HP per tick. Magic Defense Bonus II 30 Further increases magical defense. Clear Mind II 35 Further increases Hmp while resting. Clear Mind III 50 Further increases Hmp while resting. Divine Benison 50 Quickens spellcasting for status ailment recovery magic. Grants a bonus to enmity reduction. Magic Defense Bonus III 50 Further increases magical defense. Divine Benison II 60 Quickens spellcasting for status ailment recovery magic. Grants a bonus to enmity reduction. Divine Veil 65 Allows AoE status cures to be casted when used with Divine Seal. Clear Mind IV 65 Further increases Hmp while resting. Magic Defense Bonus IV 70 Further increases magical defense. Divine Benison III 70 Quickens spellcasting for status ailment recovery magic. Grants a bonus to enmity reduction. Auto-Regen II 76 Gradually restores HP. Clear Mind V 80 Further increases Hmp while resting. Divine Benison IV 80 Quickens spellcasting for status ailment recovery magic. Grants a bonus to enmity reduction. Magic Defense Bonus V 81 Further increases magical defense. Shield Defense Bonus 85 Reduces damage taken when blocking an attack with a shield. Divine Benison V 90 Quickens spellcasting for status ailment recovery magic. Grants a bonus to enmity reduction. The most frequently seen subjobs for a White Mage are Black Mage, Summoner, and Red Mage in most parties, with Warrior and Ninja being more commonly used during soloing and in certain merit-point camps. Divine Seal Recast Shortens recast time by 20 seconds per upgrade. Cure Cast Time Reduces casting time of cures by 4% per merit. Bar Spell Effect Increase the potency of bar spells and add a magic defense bonus of 2 points per merit. Banish Effect Increase the damage of banish by 2, and length of def. down effect by 2 seconds per merit. Regen Effect Increases the amount of HP gained per tick by 1 per merit. Protectra V Increases defense of party members within area of effect. Increases bonus defense by 2 per merit. Shellra V Increases the magic defense of party members within area of effect. Increase bonus magic defense by 1 per merit. This page last modified 2011-03-28 21:24:36.